A quiet cabin, and more versatility than any other mid-sized pickup, there isn't much else could you ask for out of the All New GMC Canyon. Built with premium materials and precision engineering, the Canyon sets a high bar in standard equipment. Attention to detail is what GMC is known for, and this year they are maintaining that level of excellence. 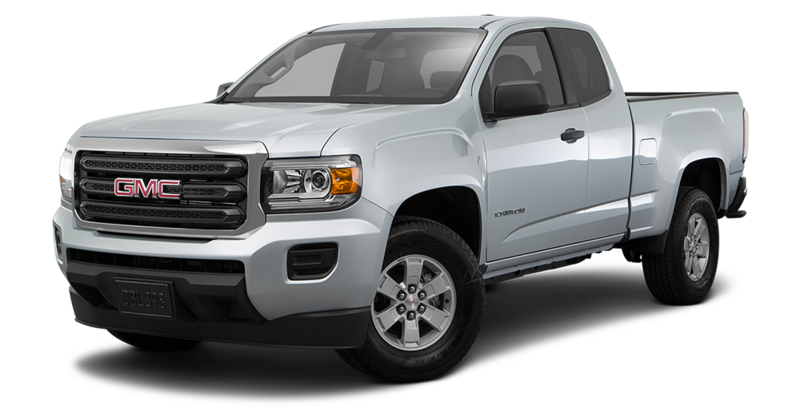 Brand new to the Canyon and first of its class, the 2.8L Duramax Turbo Diesel engine, ranks #1 in fuel economy with an impressive 31 MPG hwy. Pair that with highest standards of interiors, and you have the class leading 2016 GMC Canyon smart-sized pickup truck. The all-new GMC Canyon is available today at Quirk Buick GMC located in Manchester, NH. With so many available colors, trims and styles on hand at Quirk Buick GMC the opportunity to make a GMC Canyon your very own are endless. The staff at Quirk Auto Dealers is dedicated and passionate. We have years of experience helping our customers have the best experience possible. No one knows the vehicles on our lot better than our incredible sales staff. Call today and schedule a test drive with one of our expert personnel, and see just how far the Canyon can take you! All prices/payments require 2010 or newer trade. 1st payment, acquisition, security deposit, tax, title, registration and document fees are additional. Prices include all compatible rebates and discounts that all may not qualify for. Programs subject to change without notice. Please note that vehicle photo may be different than stock # shown. Residency restrictions apply. $299 documentation fee not included in final price. See dealer for details. STK# G15507. Sale Ends 04-30-2019.